THERE is an overwhelming consensus in favour of Shetland taking in refugee families among prospective SIC councillors amid an ongoing humanitarian crisis in war-torn Syria and the wider Middle East region. Shetland Islands Council signed up to a resettlement scheme for vulnerable people in Syria in September 2015 and has been seeking to identify suitable individuals. Some have expressed frustration that it has taken so long for the local authority to make good on that promise, but council infrastructure director Maggie Sandison explained it was essential to have the right accommodation in a central location so vulnerable people have access to the help and services they require. All 24 respondents said they were supportive of resettling Shetland’s share of the 20,000 refugees the UK Government has agreed to take. A small number said they were disappointed there hasn’t been more action, though it was also pointed out that the delay was a consequence of the Tory government “dragging its heels” rather than any fault of the SIC. Malcolm Bell: “Yes. Shetland Islands Council was one of the first to offer its support when the Syrian Vulnerable Person Resettlement Scheme (SVPRS) was announced in September 2015, shortly after the distressing pictures of drowned Syrian boy, Aylan Kurdi, emerged. 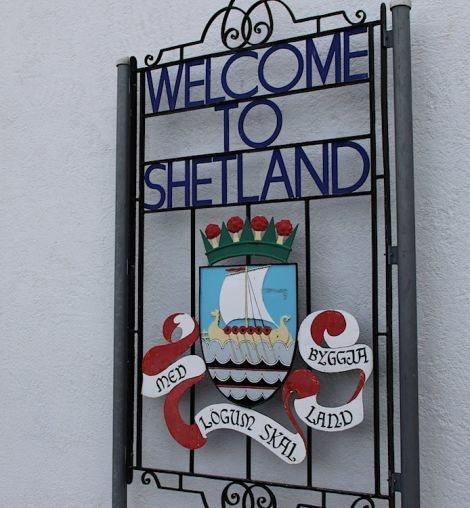 “On a pro-rata basis a community the size of Shetland might be expected to resettle perhaps two families out of 20,000 refugees the UK government (who, frankly should be doing more) will accept in the five years, which commenced September 2015. “The best outcome for each refugee resettled by the UK must be the primary consideration. I support the current work of council officials to plan for the arrival of refugee families who may be allocated to Shetland. It is also important that other agencies such as NHS Shetland and voluntary groups are involved as well in planning. Stephen Leask: “The subject of Syrian refugees is that we must be humanely proactive to give succour and assistance to alienated peoples of Syria, people who have gone through personal hell, and find themselves dislocated from families and homes. Peter Campbell: “Shetland has shown a willingness to participate in the resettlement of refugees and I will continue to support that position. It is essential that appropriate government funds are made available to cover the cost of providing the necessary support services which they would require and that the additional living costs experienced in Shetland are also met. No responses received from Cecil Smith and Amanda Westlake. Ryan Thomson: “Absolutely. The SIC joined the Syrian resettlement programme back in September 2015, it was unanimously agreed by all councillors at the full council meeting and I welcomed the decision at the time. “I would welcome and indeed encourage the resettlement of any refugees from war-torn Syria here in Shetland. We have made a pledge and I have no doubt that the new Council should, and will, take a more proactive approach whoever is elected and follow in the footsteps of our neighbours Orkney and help in any way we can. “The world is going through what can only be described as one of the worst forced displacement crises we’ve ever witnessed. Currently, it is poor countries who are looking after the clear majority of the worlds refugees. The UN’s Refugee Agency has stated that around 86 per cent of refugees are sheltering in developing countries. “Shetland, much like the rest of the UK, must step up and help those most vulnerable. I believe in terms of our population the number we would be looking at taking into our islands would be around seven. Duncan Simpson: “I think it is reasonable and fair for Shetland to take our share of refugees. Given the population of Shetland I believe this would only amount to a few families. “However care must be taken to ensure the proper preparations are in place. I think we could discuss the issue with the Orkney and Western Isles councils to find out how they have overcome the problems this would pose. Alec Priest: “Of course, I don’t think that there has been any resistance to this, just a lack of action. When we take in our seven refugees (a good-sized family) we need to give them assistance with any vocational training to fill any training/language gaps that may be required to make them employable as possible. Ian Tinkler: “Syrian/Yazidi refugee families are welcome. There must be support first. That means good secure housing, Arabic and Kurdish-speaking, medical professionals, teachers, social workers and psychiatric councilors available. Steven Coutts: “Yes, I am certainly supportive of Shetland hosting Syrian families, as part of the agreed resettlement programme. In doing so it is also crucial that there is the required support available for the families. Gary Robinson: “Yes. I ensured that Shetland Islands Council was among the first local authorities in the country to volunteer to take part in the refugee resettlement initiative. It isn’t a case of bidding to host refugees though. Orkney and the Outer Hebrides have both been allocated refugees while Shetland hasn’t yet.